InternetSpeedUtility Toolbar is the PUP that uses misleading techniques to prevent removal. Use Reimage to locate malicious components and get rid of them faster than with uninstall instructions. A full system scan blocks virus reappearance and prevents traffic to malicious domains. Should I install InternetSpeedUtility Toolbar on my computer? 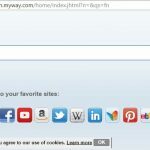 How can I download InternetSpeedUtility Toolbar on my computer? 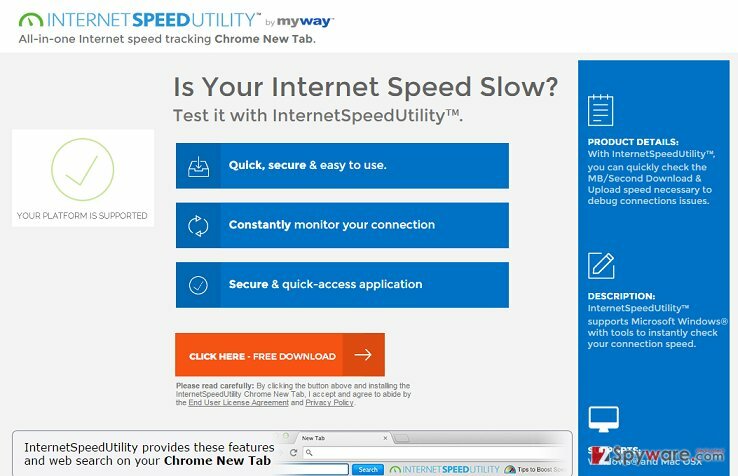 If you need a tool for checking your PC’s speed, you may think that InternetSpeedUtility Toolbar is all what you need. However, after installing it on each of your web browsers, you may notice suspicious and sometimes even unwanted activities on your computer. Well, in fact, the aforementioned toolbar should not be called malicious because it cannot affect your computer in any way. Nevertheless, it’s a part of one developers family, which means that it may be involved in suspicious activities just like its clones TranslationBuddy Toolbar, SuddenlyMusic Toolbar, MySocialShortcut Toolbar, and many others. In reality, InternetSpeedUtility spreads via the official website and via software packages as a tool that allows checking Internet speed and debug connections issues. It supports Windows OS and Mac OS X, as well as can smoothly run on all the most popular web browsers, including Google Chrome, Mozilla Firefox, and Internet Explorer. Unfortunately, that’s just an empty promise because InternetSpeedUtility’s main task is to replace your start page, search provider and redirect you to predetermined websites in order to increase their rank. Unfortunately, you can never be sure that it personally identifiable information will not be gathered as well and that it will not be used for suspicious purposes. To prevent issues related to privacy and PC’s security, we recommend you to check your machine with Reimage. InternetSpeedUtility usually spreads bundled with other freewares as an optional counterpart. It may be attached to various download managers, media players or PDF creators that spread via such familiar and reputable download websites as download.com, soft32.com, cnet.com, softonic.com, and so on. 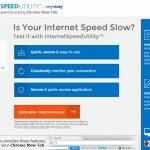 Be aware that thousands of potentially unwanted programs are spreading around the Internet this way, so after reckless installation of a freeware you may not only find InternetSpeedUtility redirect installed, but a bunch of other suspicious apps. To prevent this from happening, it’s a must to opt for Advanced or Custom installation option (avoid Quick/Basic) and follow the entire installation process step-by-step. The only way to maintain the standard functionality of your web browser is to opt out of all ‘additional components (add-ons, plug-ins, toolbars, extensions) that may be offered to you because they usually diminish PC’s performance, cause redirects, unwanted advertisements, and similar issues. Recently, the developer of this program contacted us asking us to remove this post from 2-spyware.com website. We believe that we shouldn’t do that as long as programs that we offer for the removal of InternetSpeedUtility Toolbar can detect it and help users to remove it from the system. As it is mentioned under each of download buttons, we ARE affiliated with these anti-malware programs, and while some of them are free, others can remove a virus only after purchasing them. These mentions fully fulfill each of the requirements of FTC. Even though InternetSpeedUtility Toolbar is not considered malicious, we want to recommend you to remove this potentially unwanted program. You can do that with the help of our manual removal steps and automatic removal method. No matter that this program can be eliminated manually (see the guide below), we believe that people should rely on automatic removal option. By using this Internet Speed Utility removal method, you will be sure that all related components, like browser helper objects and similar, are eliminated from your computer. 2. When in the Add/Remove Programs/Uninstall a Program, look for InternetSpeedUtility Toolbar and other programs that are unknown to you. 2. 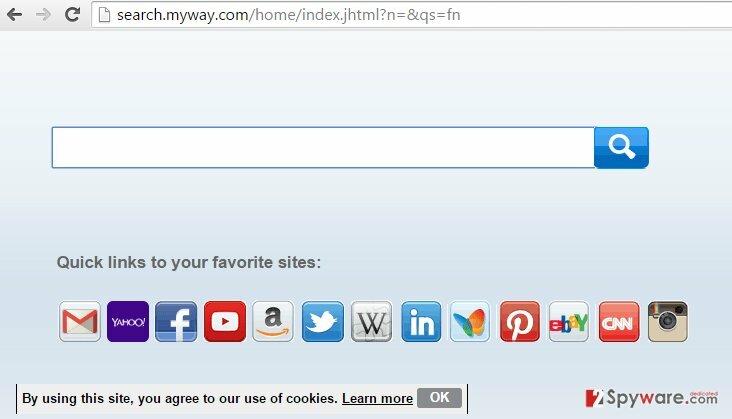 Here, select unfamiliar plugins (InternetSpeedUtility Toolbar, MyWay, MyWebSearch, etc.) and select trash icon to delete these entries. This entry was posted on 2015-10-22 at 00:29 and is filed under System tools, Viruses. You can quickly scan the QR code with your mobile device and have InternetSpeedUtility Toolbar manual removal instructions right in your pocket. How did you remove InternetSpeedUtility Toolbar?